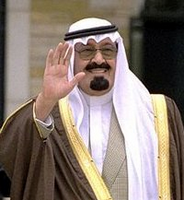 In November 2010, the Saudi monarch, King Abdullah bin Abd al-Aziz, traveled to the United States for medical treatment, touching off rounds of fevered speculation about the prospects for succession in Saudi Arabia. Crown Prince Sultan bin Abd al-Aziz's own frail health and recent convalescence in Morocco gave the speculation further life. Of course, due to the royal family's opaque approach to the issue, discussions of the internal rivalries that are reputed to divide the royal family are often based on mere conjecture. With little concrete information upon which to ground analysis, each decision of the royal family is then understood as a reflection of internal power-balancing arrangements.